“The question I am asked most frequently—after “Vu, have you tried using Proactiv?”—is “Vu, would you consider joining so-and-so board/committee? 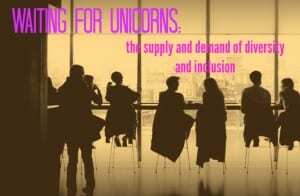 If not, can you connect me to other leaders of color who might be interested?” Apparently, everyone is having a hard time finding people of color for their board of directors and 80’s-karaoke-night planning team. 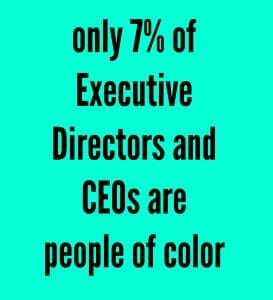 Fund leadership programs specifically targeting leaders of color. There are tons ofleadership programs out there, and the mainstream ones are always better funded. And then they have trouble recruiting people of color to enroll. Meanwhile, there are great leadership programs exclusive to leaders of color, and they always struggle for funding. Fund them! Being a leader of color is exhausting, as I talked about earlier in “The Game of nonprofit and how it leaves some communities behind.” If we do not have programs teaching us how to navigate both the mainstream nonprofit system, as well as our own sometimes-crazy cultural dynamics, how are we supposed to be effective? One program, of which I am an alum, is United Way of King County’s Project LEAD. I went through that nearly a decade ago, and still use stuff I learned there.